Finally! 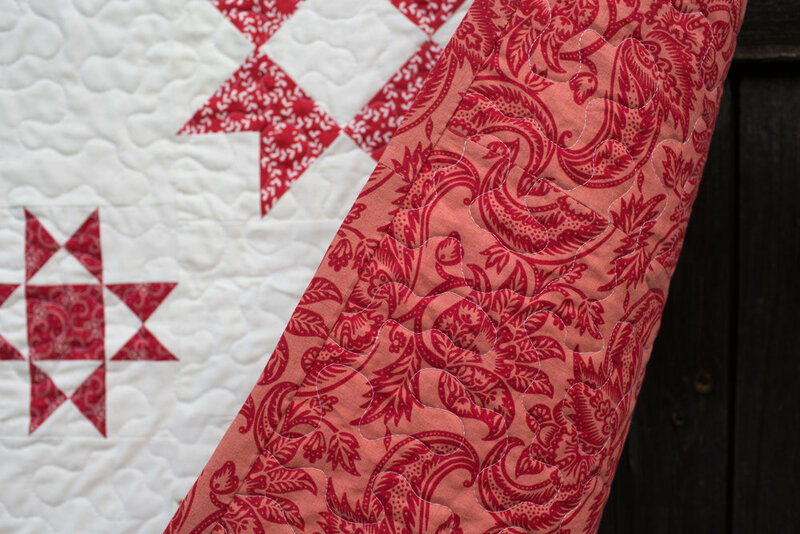 I'm so happy to share this finished quilt and pattern, Kismet Medallion. I had posted some sneak peeks here and on Instagram as I was working on it. I finished about a week before Christmas...just enough time to wash it, package it up, and ship it off to it's new home! I made this quilt as a gift for my husband's aunt, who is so caring, kind, and generous. She loves red and appreciates the handmade. I loved making it for her! This quilt was so fun to design. I love stars and the layout was exciting to play around with. I wanted something based on a medallion, but without all the typical borders. (Although - I love quilts with those too - maybe that will be next for me!) 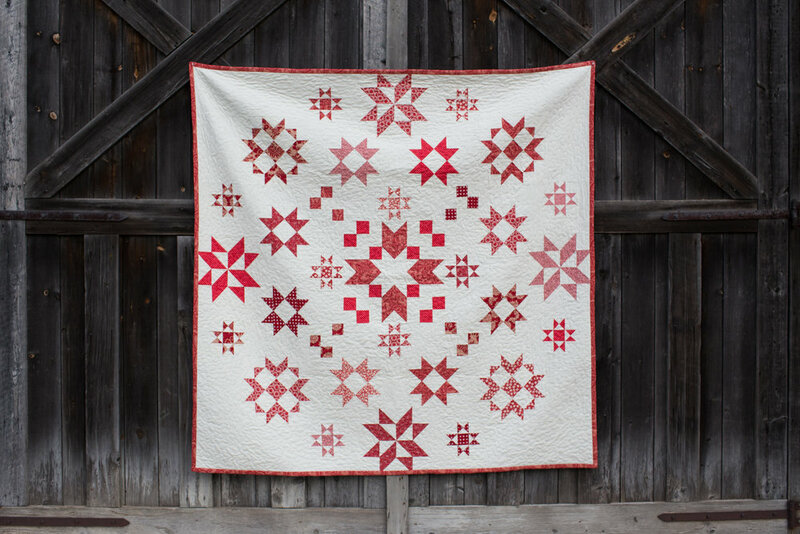 I've been itching to make a red and white quilt, and this one certainly won't be my last. I used a scrappy mix of red prints. Some I had in my stash (such as a great red print from Blueberry Park by Karen Lewis), and some I ordered (several designs from French General's Madame Rouge line for Moda). For the background, I used Moda Bella Solids in Porcelain, which I felt had a bit of an antiquey look to it. The backing is also from French General's Madame Rouge line, I just love it! This fabric is out of print, but if you search "Madame Rouge" on Quilt Shops, you can still find a bit of it left out there in shops. I used my BERNINA's BSR foot and quilted in a free motion meandering design. I love how the quilt ends up cozy after washing! 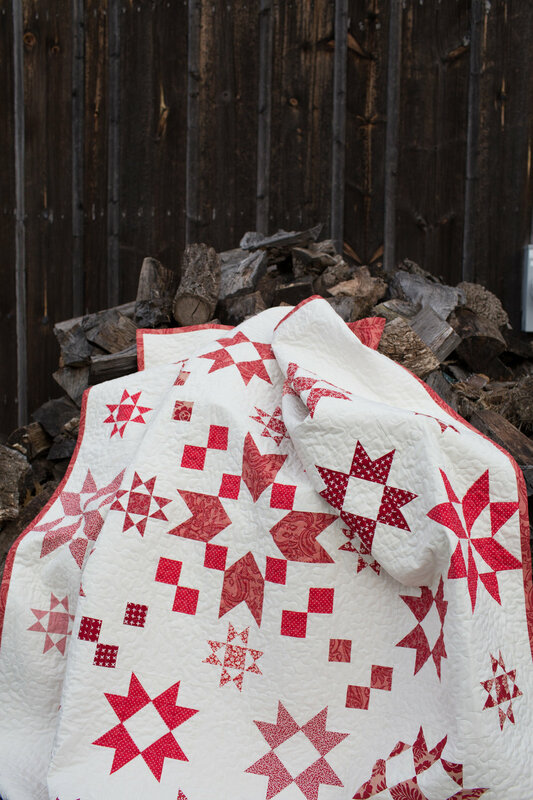 Normally I don't wash my quilts before gifting, but with all the red fabric in this one (even after prewashing some), I was a bit scared of bleeding. I threw it in on cold with about five Shout Color Catchers and held my breath. lol No bleeding on the white fabric! The color catchers were light pink when the wash was finished, so I'm glad I used them. The Kismet Medallion quilt measures 72" x 72" and the pattern is now available in my shop (EU quilters, please use my Etsy shop for VAT purposes). It is entirely traditionally pieced. 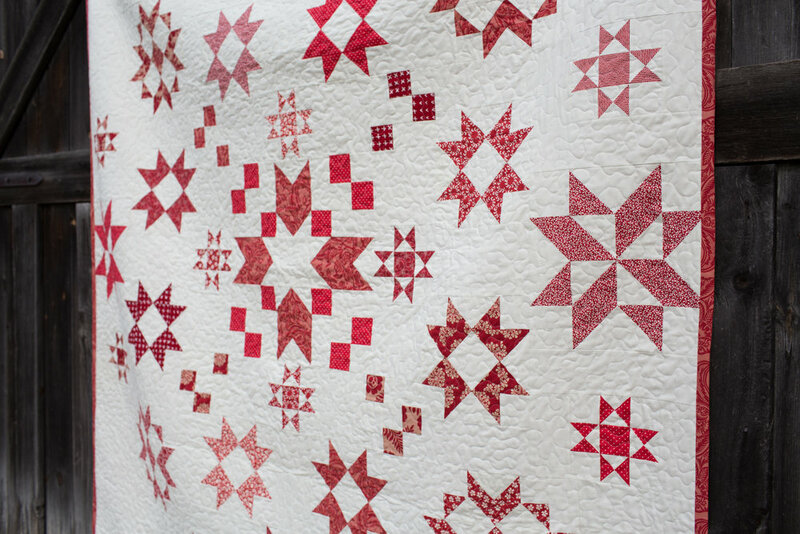 So if you have a few quilts under your belt, you should be ready to sew! I hope everyone had a wonderful holiday season!